Atlas Repairs have many years experience in tail lift, shutter, curtain and winch installation and repairs. 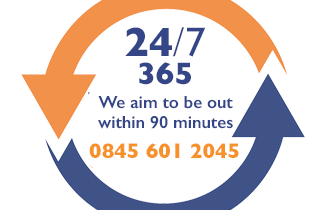 Atlas Repairs provides nationwide breakdown support 24/365 to tail lift users. Atlas mobile engineers are located nationwide operating from fully equipped service vans 24 hours a day, 365 days a year throughout the UK. We are authorised to complete warranty repairs for all the major tail lift manufacturers and our engineers are fully trained and have in depth experience of a wide range of tail lift models. We carry out statutory thorough examinations and weight testing of tail lifts at pre-arranged times to suit each customers operation. Atlas is experienced in the service and maintenance of both commercial and mobility lifts, we support both large fleet operators and provide individual service to private users and both are given full support and the same attention to detail. Other vehicle ancillary equipment maintenance and repairs. Atlas understands that keeping your equipment working and on the road is vital to your business. We provide a good maintenance program but if a breakdown does occur, we aim to achieve a first time fix thus keeping your business moving. Click here to download our e-brochure. To request a hard copy please contact us. We hold parts for tail lifts, shutters, curtains, winches, side steps and we also hold various ancillary truck parts (marker lights, mudguards, door locks, hinges, etc).